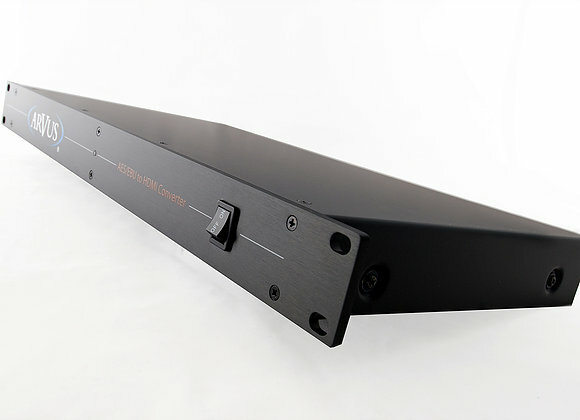 With 16 channels of AES/EBU input via both XLR and DB25 connectors. It also can convert up to 16 channels of Dante directly to HDMI audio with no video signal required. Like the AES-2H it has it's own video generator producing 720p black to interlace with the HDMI PCM audio signal. With many audio formats now using up to 16 channels the AMD-2H opens up a multitude of connectivity options. Direct "pass through" conversion with zero compression or audio signal adjustment.